Edmonton Limo is committed to provide a professional and exceptional service. We are not just another limo company; we are a company that prides itself to providing luxury travel accommodations with valuable service for our customers. Our ultimate goal is to provide our clients with responsive and immediate attention they deserve, whatever that might be. Our company offers safe ground transportation, 24 hours a day, 7 days a week with advanced reservations. Our chauffeurs are experts and knowledgeable with Edmonton’s points of interests as well as places of business, restaurants, parks, and other attractions. Edmonton Limo provides excellent, professional, and high quality limo service at competitive rates. 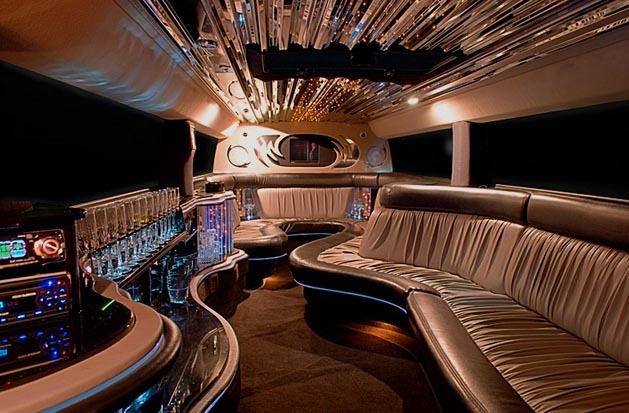 We provide best limo rates which are reasonable, and ensure that your limo travelling experience is a memorable one. At Edmonton Limo, we are committed to accommodate your every special request and to make sure that your very important day stays special and memorable. We let one of our chauffeurs to be a designated driver, and drive you back in style and comfort. Our company provides top quality limousine services for all city and suburban attractions. With years of experience, we know how to show you a good time. We understand the nuances and the refinement needed to make or break any occasion. We do it right every time and we provide the best! Are you in need of a professional Edmonton car service? Are you travelling to our beautiful city and looking for a dependable car service in Edmonton, a reputable and reliable limousine company to take complete care of your local transportation needs? Car & limo Service Edmonton is here to meet all of your Edmonton Transportation needs. We are a friendly and professional Car and SUV service striving to make a difference in the limousine industry and our local community. If you are new to Edmonton you’re probably wondering which company to hire as your local Seattle car service provider. While every company claims to offer the best services and rates, you can be rest assured that we are that very reputable, local, licensed and insured Town car, SUV and limousine service provider in decades of experience, local knowledge and a proven dependability. We offer hourly, long distance, as directed & point-to-point car service to & from Edmonton City airport and Edmonton International Airport to our local friends, lovely city guests, corporations and celebrities. Before choosing any car service in Edmonton, it is vital that you ask why you should choose a particular service provider and not the others. If you have one such question while choosing Edmonton car service for your car rental needs then here are some highly compelling reasons that make us the #1 car service in Edmonton. Edmonton car service is here to serve its customers and we never lose sight of this priority. Ultimately we want you to be fully satisfied with our service. You will not run into problems with our chauffeurs or with the vehicles. We give our customers 100% quality guarantee and we live up to our promises. You will find our Edmonton Limo service highly flexible. We are very much aware that every customer comes with a unique need we are here to accommodate. We have been in the car service industry for several years and we understand our passengers. You may want to retain the service for longer hours, don’t worry we are flexible to meet your changes. We will not leave you in the middle of nowhere forcing you to look for an alternative service provider. We will be there until all of your transportation needs are met. You will certainly find our flexibility to be a welcome feature. Leading Limousine rental service for Edmonton and around including Stony Plain, Spruce Grove, Sherwood Park, Leduc, Beaumont, St. Albert, Nisku and Devon. Same location for more than 10 years. Copyright © 2019 | Edmonton Limo Company. All Rights Reserved. Developed by Website Designers R Us.